It seems like some of my difficulties with perspective stem from the condition of strabismus exotropia, which I’ve had since childhood. In short, I have no depth perception. Drawing dimensionality can be a challenge, but modeling seems much easier. 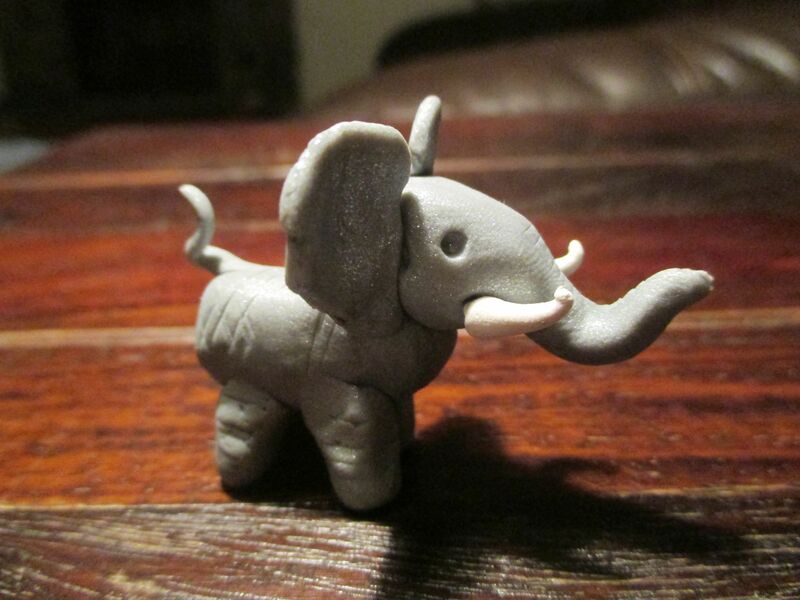 Taking a break from writing my last night on retreat, I decided to go 3D with Sculpey. The fruits of my labors. The quarter is for scale. I didn’t have a real banana because I made pancakes out of them. Since the protagonist of my graphic novel is so influenced by turn-of-the-century boys’ colonialist adventure novels (this week I’ve read The Son of Tarzan and King Solomon’s Mines) an elephant seemed like the obvious place to start. Look at his little tail! And his little tusks! Besides, elephants just make people happy. They’re so big! But they’re smart! And social! 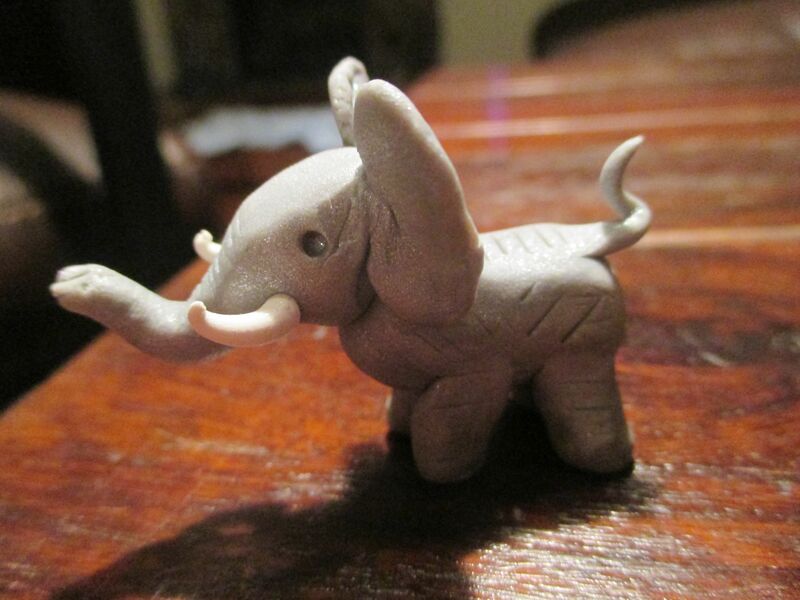 My little tusker is a proud bull, bearing the magnificent ivory appendages of his people. There are plusses and minuses to working in miniature. I tend to feel more comfortable with small detail, but it’s so much easier to screw up, particularly to screw up something you’ve already gotten right. His tail must have fallen down ten times before he went into the oven, but it’s standing up pretty well now. The banana is a bit lumpy for my taste. Maybe it’s organic or something. 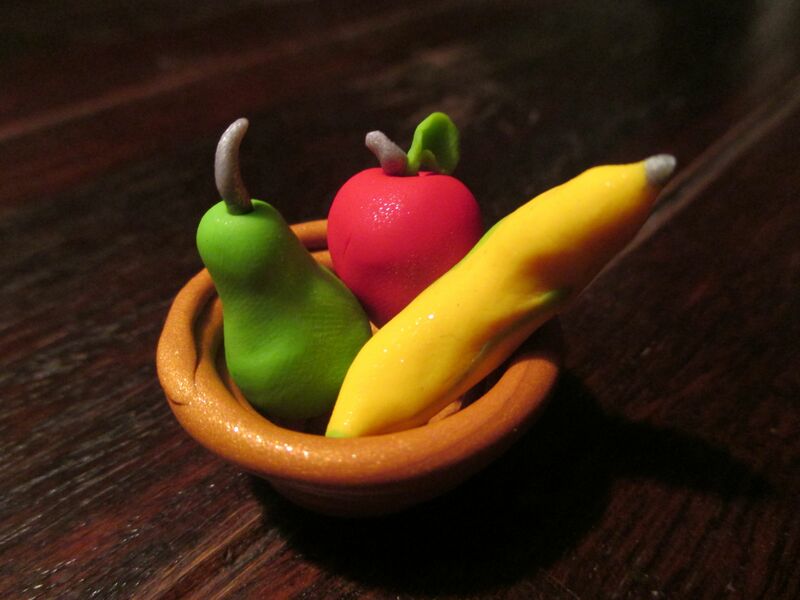 I learned how to coil pots like this when I was a little girl. 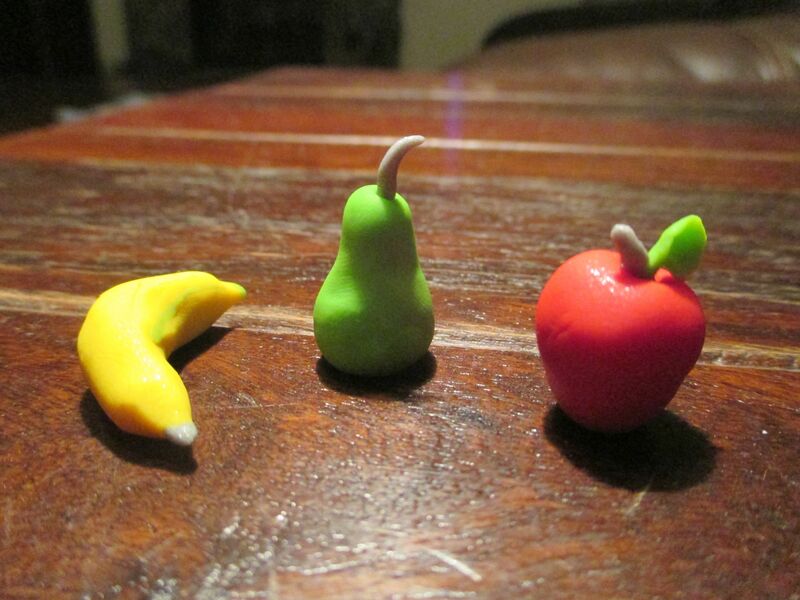 Once Tantor was finished, I felt the motivation to continue, but with something simpler, so I went for an apple, which quite naturally led to a pear and a banana. From there, it made sense to coil a little fruit bowl. I’m not ashamed to say it: Kawaii! Squee! Little tiny things! Well, I wrote 3500 words today, meaning I’ve drafted approximately half the story this week. I’d hoped to get further, but 15,000 words is not a bad output for 4 1/2 days’ work. 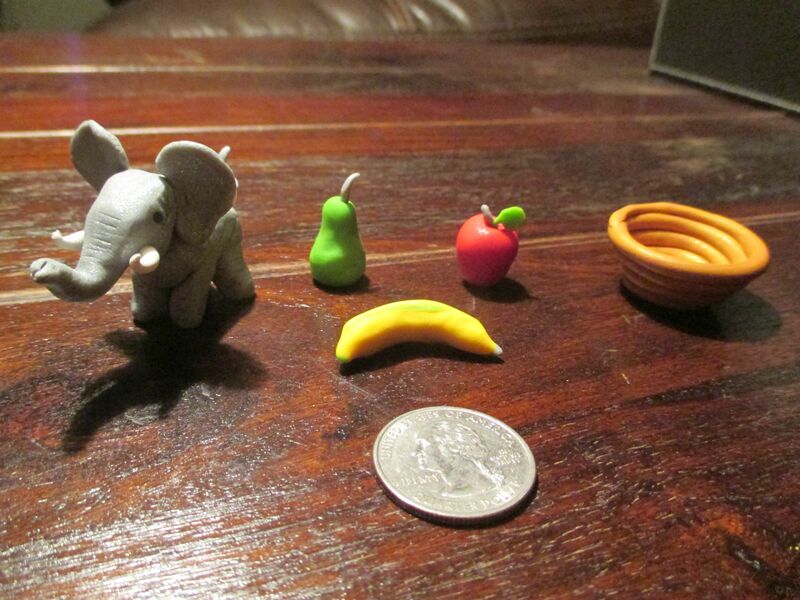 This entry was posted in 3D and tagged 3d, animals, clay, dimension, elephant, fruit, modeling, Sculpey, still life on August 8, 2014 by littledragonblue.